Selecting games for my 7th Gen Top Twenty was easier than I had expected. 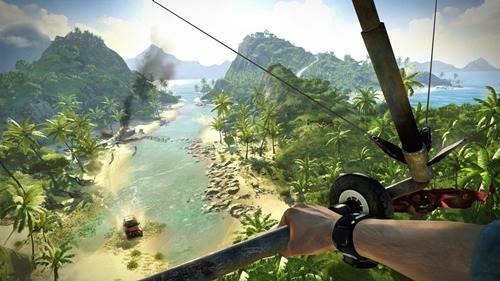 There was one game, however, which I really wanted to include but could not: Far Cry 3. It almost made an appearance at the expense of DJ Hero, but just missed out. Call of Duty 4: Modern Warfare was the best FPS of the last gen but Far Cry 3 was undoubtedly the most fun. It did away with dark corridors and chaotic battlefields in favour of wide open, tropical playgrounds and reminded us that shooters don't have to be about grizzly men doing depressing things. The Rook Islands were begging to be explored and the silly attempts at narrative rarely got in the way of the fun. Had I expanded my top twenty, there a few other titles that would have been guaranteed a look-in. I had initially written off The Walking Dead as something I wouldn't be interested in, but it turns out I was very wrong. I played so much Yakuza over the last two years that Kamurocho started to feel like a second home, and Yakuza 3 and 5 would definitely belong on an expanded list. Sleeping Dogs was a very pleasant surprise, and Batman Arkham Asylum and Infamous were two of my favourite games in a vintage year (2009). Assassin's Creed Brotherhood and Modern Warfare 3 may not have been the best in their respective series, but they were still outstanding. There were no portable titles in my Top 20 – my favourites were all re-makes - but Metal Gear Solid Portable Ops certainly warranted consideration. Everyone loved Dark Souls, didn't they? I really did try my best, and I do appreciate its appeal, but all I found was frustration and repetition. Perhaps I lack the required patience or, perish the thought, the necessary skill to enjoy Dark Souls. Whatever the case, I was well and truly stumped, and was more than a tad jealous when I saw others "getting" it. I've never understand the adoration for Bayonetta, nor any of Platinum's 7th Gen offerings for that matter. The Bioshock series told a fairly interesting story, but not interesting enough to make me forgive the decidedly average gameplay. Despite it being a critical darling, I didn't like Fallout 3 at all and if someone tells you that LA Noire was a good game, then they are a liar and probably ugly too. And then there was The Last of Us. My problem with Naughty Dog's new IP was the degree of dissonance between the mature narrative and the Uncharted-like combat; it probably didn't help that I found the setting overwhelmingly dull. When I see how much other people love The Last of Us, I begin to second guess myself. I worry that perhaps I missed something and that I should go back, play it again and re-evaluate. You know, try harder. Anyway, I think that The Last of Us was a very good game, I just don't consider it a great one. When I think back over the last eight years, some of the first games that spring to mind do not belong on a Best of... list, but that didn't make them any less worthwhile or memorable. They weren't perfect, but they were still an important part of my 7th Generation. 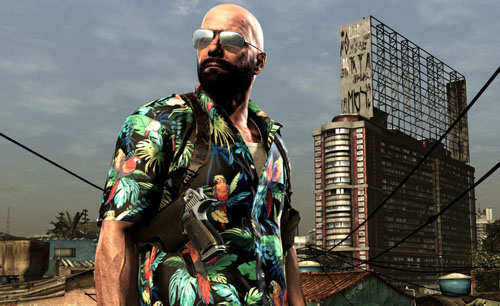 Max Payne 3 and Call of Juarez: Bound in Blood are prime examples. While bullet time felt a bit dated in 2012, MP3 still managed to be wonderfully stylish. Max wandering into a Favella, head shaved and dressed in a god awful Hawaiian shirt, is the standout scene and one that I won't soon forget. Just like Rockstar's third person shooter, Call of Juarez didn't shy away from mature topics. 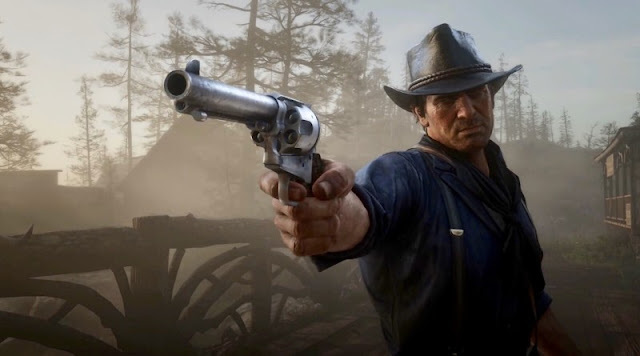 Before Red Dead Redemption, Bound in Blood was the best video game Western, and I really enjoyed viewing the American Civil War and the Old West through the Call of Duty lens. I fear Prince of Persia (2008), Red Faction Guerrilla and Mafia 2 may have already been forgotten, which is a shame as they were all excellent in their own way. Insomniac's Resistance series is probably over, but it was one of the most consistent, home console FPS series of the last gen. Dragon's Dogma was a promising start to what I hope will be a long lived series and Just Cause 2 was silly, retractable-hook fun. Resident Evil Umbrella & Darkside Chronicles are two of my favourite couch co-op experiences and Moero! Nekketsu Rhythm Damashii Osu! Tatakae! Ouendan 2 (Elite Beat Agents 2) was the game that sold me on the DS. It also had a really long name. Lost Planet 2 and Yakuza Dead Souls both fell short of expectations, yet I recall them fondly. Papa & Yo had the misfortune of being released on PSN in the year of Journey, otherwise it would have been the game we discussed over imported coffee and beards. Battlefield 1942 was a digital standout, and despite being one of the most frustrating games I've ever played, there was something about Trash Panic that kept the wife and I coming back for more. Along with a quarter of a million other Brits, I finally got my hands on a PlayStation 4 just over a week ago. All in all, I have been impressed. I like the simplicity of the dashboard and am very happy with how quickly games download and install. Everything is straight forward and easy to set up, and most features are where you would expect to find them. Remote play with Vita works a treat, though I have yet to try it away from home. I like the new Dualshock but am not as keen on the design of the actual console; it lacks style and the invisible power and eject buttons are a pain. Resogun has dominated what little time I've had for gaming, as it has the exact same addictive qualities as Super Stardust HD. I was very disappointed by the first thirty minutes of Killzone Shadow Fall, but was rather impressed by the opening of Assassin's Creed 4. It might be early days, but I think I'm already set for the eight generation. Unless there is a major change, PS4 will be my main console and I'm happy with the Wii U as my second option. I expect that portables (3DS and Vita) will be a prominent feature this generation, unlike the previous. It would take something very special to convince me to buy an Xbox One, such as, god forbid, an exclusive Metal Gear Solid. I hardly used my 360 over the last few years and I really don't need another home console to contend with. 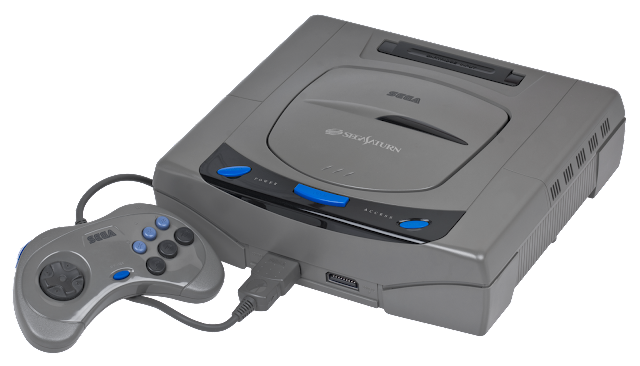 Someone please remind me of this in two years’ time, when I'm contemplating an Xbox One. I'm almost done with my End of Generation posts. I'll be completing the series in the next few days with a write-up for my favourite game of the last eight years, Resident Evil 6*. This series has taken longer to complete than expected, and I have had to cut corners here and there, but I've really enjoyed blogging again and finding new ways to say "this game has nice graphics". This return was temporary and things will be going quiet here again soon. However, there is no need to despair just yet, as I will be posting my Best and Worst of 2013 just before the New Year. My annual round up has become a tradition of sorts, one that I intend to maintain well into the future. I never really felt any dissonance in TLoU, felt they made taking out enemies hold more weight than Uncharted, there it would just be a quick jab, but in TLOU, you really felt like the guy was dying. But to each their own I guess. Agree that Far Cry 3 and Walking Dead, while great, wouldn't make my top 20. I'd disagree on portables though, thought this was their best gen yet, though that's more the DS than the PSP. My top 20 would be filled with DS games. I agree that it felt different when fighting the infected, but when fighting other humans, to me it felt a lot like Uncharted: a one man army versus a succession of bullet-sponge enemies. My least favourite parts of TLOU were the areas where I was fighting groups of human enemies and Joel/Ellie turned into Rambo. A very impressive game nonetheless. Portables were quite important to me when I lived in Japan, but once I moved back to the UK, they fell out of favour. I definitely didn't make the most of the DS. I missed a lot of great games, I think. I agree with volvo about TLoU. I don't care much about dissonance if the game is fun, but even so I thought TLoU's story and gameplay meshed up better than most. I'm working on a similar best of gen list and think FC3 and PoP will make it in, but looking at what gets left out, there will be some tough cuts. I'm ready for that #1 blog. It's an excellent choice! I usually wouldn't care about dissonance nonsense, but I was so invested in the characters and story in TLOU that it became a big deal for me. Looking forward to seeing your list. Let me know when you post it.